In December of 1987 I was a fourth grader living on a farm way outside a tiny town called Tipp City, Ohio. We had all of five TV channels at that time (including PBS), so whatever Fox would opt to show in the afternoons was what I watched. (This is why I've committed the Mr. Belvedere song to memory. Thanks, Fox. Thanks so much.) 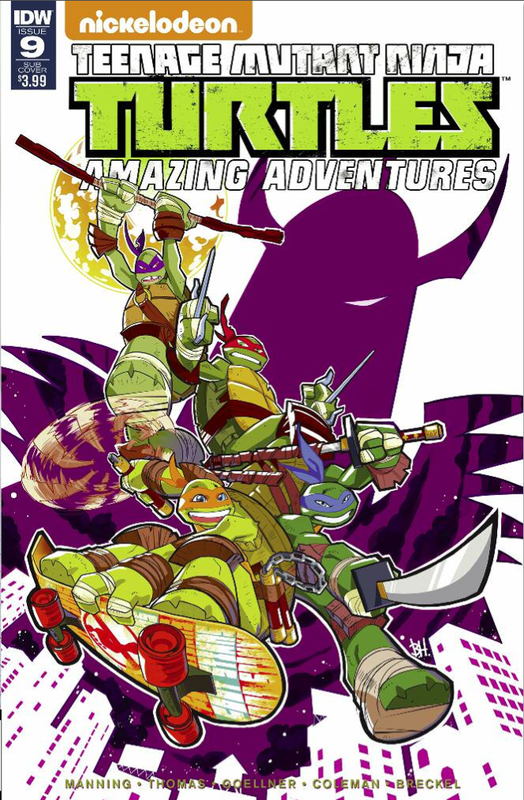 I had a weird little brain into things like The Far Side, Calvin and Hobbes, karate, drawing, and superheroes, so when the first episodes of Teenage Mutant Ninja Turtles premiered during a trial airing of sorts, fourth grade me flipped the hell out. 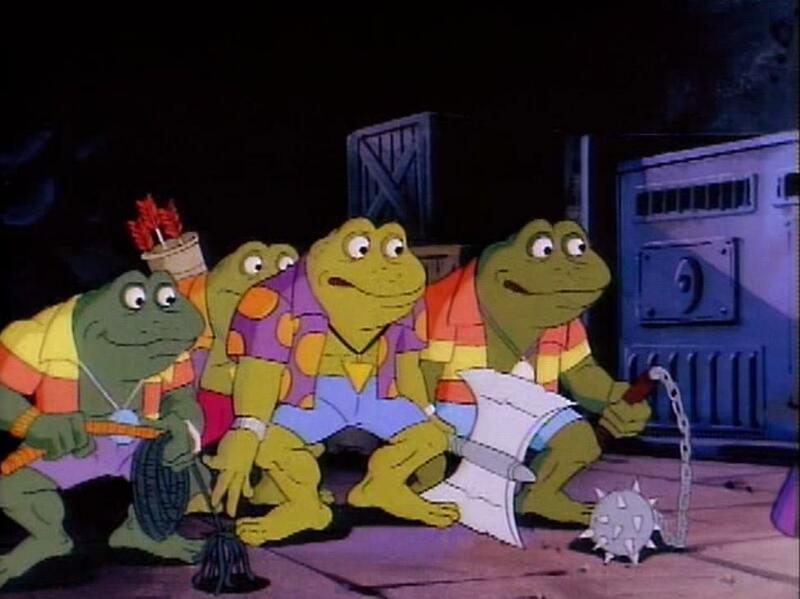 I bought the toys, the cereal, and regaled my parents with the latest adventures of the TMNT whenever we took a long car ride. Again, we lived in the middle of nowhere. Every outing included a long car ride. My mom said she didn't mind, however. Since the Turtles were named after renaissance artists, I think she was just happy I was learning something. Then came my favorite Turtle villains, the Punk Frogs. 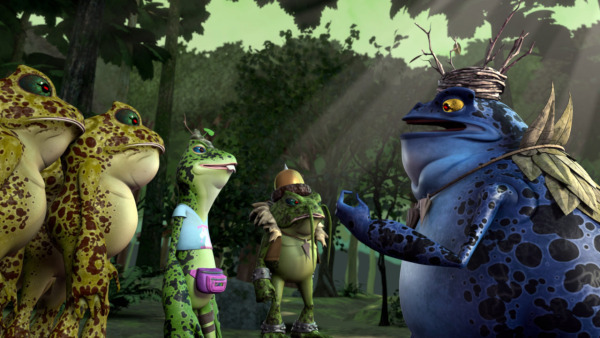 Mutant Turtles fighting Mutant Frogs, each Frog named after a famous despot?!?! This is what a fourth grader views as sheer genius. This was everything to me for a good few months. Their very wardrobe strikes fear into the hearts of heroes everywhere. 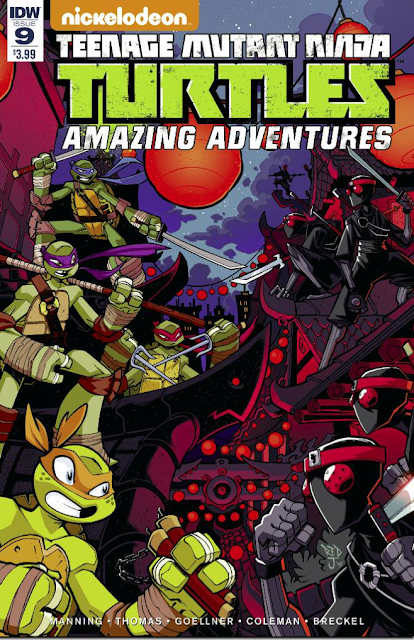 In stores this week is part one of my newest Teenage Mutant Ninja Turtles: Amazing Adventures two-part tale, "The Frogs of War." This issue features my first attempt at writing the Frogs, and at appeasing the still very vocal voice of Fourth Grade Matt. I'm happy to report the Turtles cartoon has matured over the years, evolving from something of a 22-minute toy commercial to true all-ages entertainment. The Frogs have matured as well, now serving as parodies of famous characters ranging from Marlon Brando to Napoleon Dynamite. They were a blast to write, and artist Chad Thomas did a great job of bringing life to the many, many Frogs I requested he draw. Today's Frogs. The years have been kind. To see more of this issue, Teenage Mutant Ninja Turtles: Amazing Adventures # 9, please click here for a free preview. To, like me, get the Mr. Belvedere song stuck in your head, please click here. You're welcome, and also, I'm sorry. Variant cover by Ben Harvey.